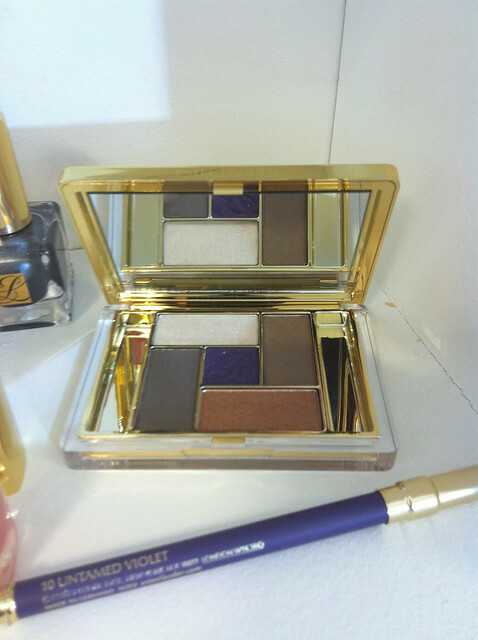 The palette looks amazing – I’m a sucker for purple, as most of you should already know – and the Untamed Violette eyeliner looks fab too, can’t wait to try this. 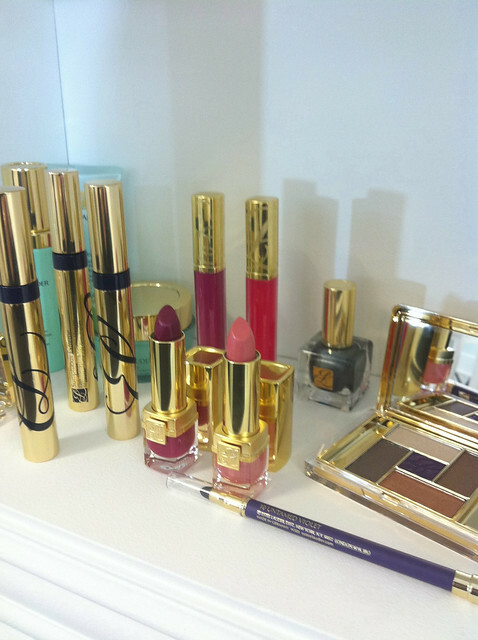 The range launches at Selfridges on 3rd January, and will be available nationwide from February. 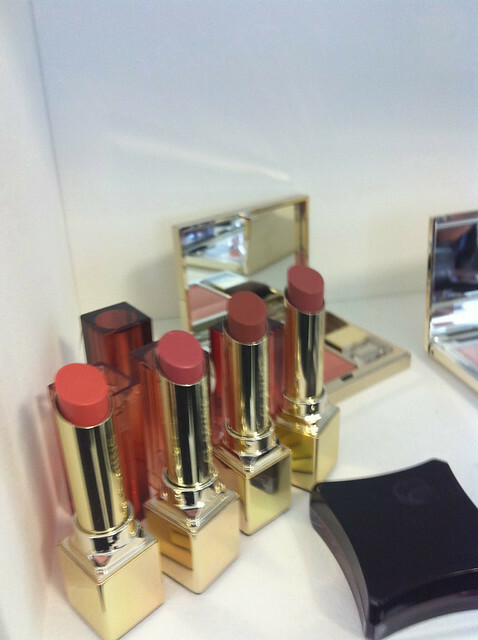 Clarins are specialising in nudes for Spring 2011, and these are some lovely shades. Personally, I can’t wait to have a proper look at the one second from the right there. Those shades of mauvy-pink are perfect for me. 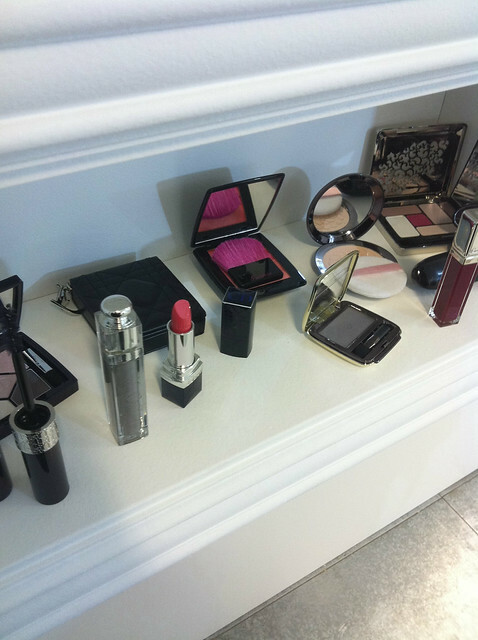 There’s an eyeshadow palette too, which has some lovely pinkish neutrals, which looks very interesting. 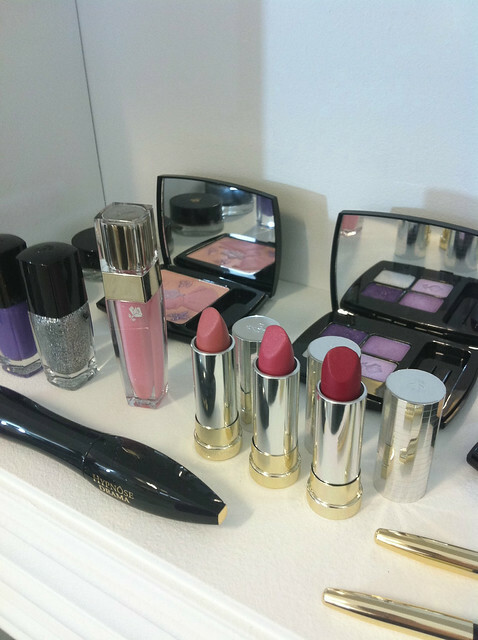 Lancome are giving us pinks and purples this spring, and this looks very pretty indeed. 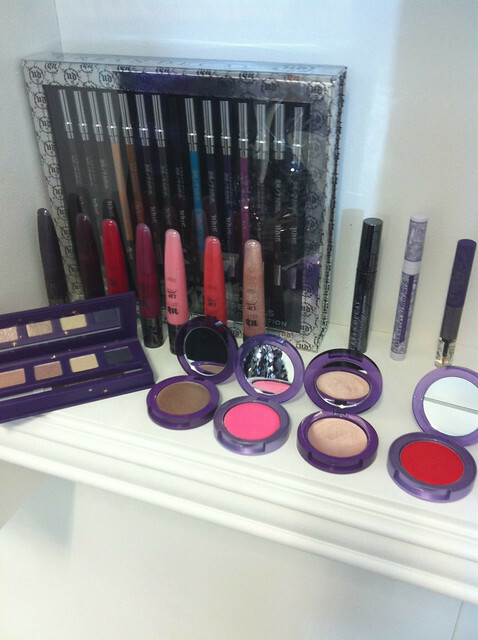 That purple eye palette in particular is really calling my name. I like purple, what can I tell you? 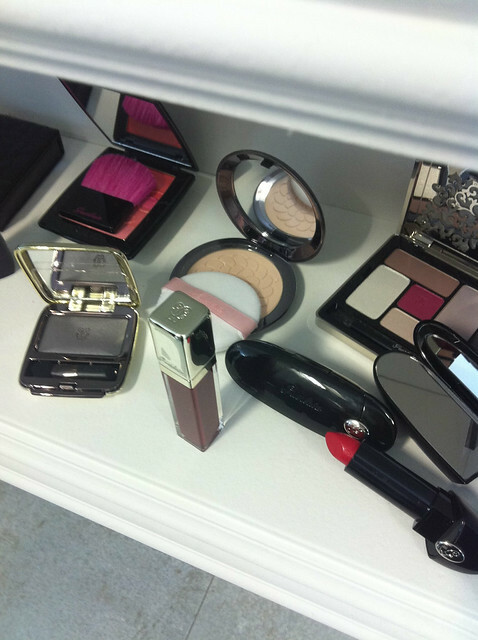 A closer look at Guerlain – I think I need that new Rouge G. It’s red, of course I need it! Urban Decay is launching creme blush this spring, alongside a limited edition box of all of the 24/7 eyeliners.